CROCKETT – The Crockett Lady Bulldogs finished third in District 21-3A in the 2015 volleyball season and qualified for the playoffs. Unfortunately, they didn’t make it out of the first round. 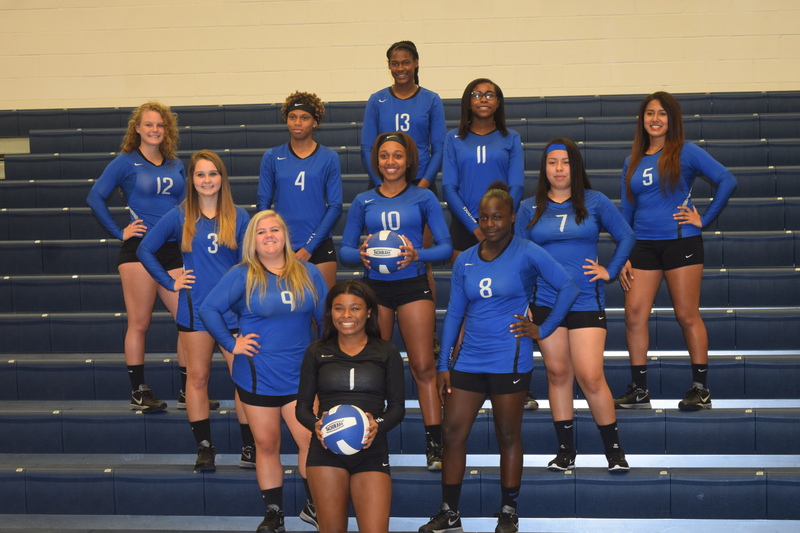 However, with several returners from last year’s squad as well as a new coach who knows a thing or two about winning at the highest levels, the Lady Bulldogs may just shock a few teams in 2016. Coach Karla Gilbert takes over the helm as the Lady Bulldogs volleyball coach and if her name sounds familiar it’s because she played in 143 basketball games for Texas A&M, good enough for sixth among active players at the D-1 level. Her teams posted a record of 12-3 in NCAA tournament play and Coach Gilbert was named to the SEC Academic honor roll. Oh, she was also part of the 2011 NCAA Women’s Basketball Championship team while at A&M. Now in her first year at Crockett, Coach Gilbert looks to bring her winning ways to the volleyball court. “One of the things that excites me about volleyball is the selfless part of it and how much effort you have to put in. The fact that you have to work as a team, as well as the level of excitement in the sport also excites me. You can’t do anything by yourself, you have to cover the whole court and have help from your teammates. Everything about the game is about teamwork,” she said. The coach said one benefit of her first year as a Lady Bulldog is the amount of players she has returning from last year. “We have three seniors, a handful of juniors and also a lot of sophomores and freshmen came out this year,” Gilbert said. As she settles into her new role, the coach remarked she had not had the opportunity to study her opponents as much as she would like, but planned to change that in the near future. “The only teams I really know about are Latexo and Grapeland and that’s because we’ve scrimmaged them already,” Gilbert said. Right now, Gilbert added, she was still in the process of assessing and evaluating the Lady Bulldogs’ strengths and weaknesses, but stressed she liked what she saw. HOW I SEE IT: The Lady Bulldogs are the beneficiaries of a relatively weak district. Of the seven teams in District 21-3A, only Crockett and Anderson-Shiro made the playoffs. Now, Anderson-Shiro moved up from Class 2A last year where they made the Regional Quarterfinals. Expect the Lady Owls and Lady Bulldogs to battle it out for the top spot in this year’s competition with the Lady Bulldogs edging the Owls out for the top seed out of the district.